Some bands just have that lilt. There’s nothing particularly flashy about their execution, no clear virtuoso on any given instrument. It’s just an understanding of how to rise and fall with dignity, an awareness of how to create emotional experience without resorting to the overblown, cliche choruses of any run-of-the-mill Mumford & Sons. 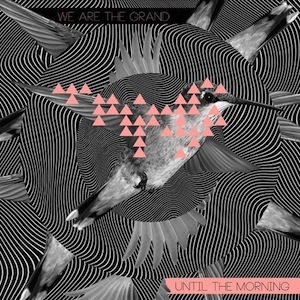 The Chilean rockers We Are The Grand may not have that lilt in totality, but for just coming out of the chute, they’ve got a decent handle on things. Their drums shuffle like a soldier’s last dance before the war. Aside from slower tracks like “Ecstasy” and “Endless Waiting,” you can bet on beats hitting with New York stock exchange intensity. “Save The Bullets” shows the band trying on their best Julian Casablancas and compatriots celebrex without prescription costumes and they end up with a catchy, turn of the millennia style bop-and-jive. The whole album has a sort of Strokes-gone-Hollywood feel, a more produced and vocally emphatic affair than is normally considered kosher for indie rock fare. Make sure to give “Donovan” a couple listens because boy, does it groove.